Theatrically as lighting designers, control is what we do. We desire to control the picture on the stage. We desire to control where and when the audience is looking. Controllers are the devices that communicate our desire the actual equipment. Sometimes they communicate directly to the lights and sometimes they communicate to the dimmers or other devices that then control what the lights do. The most simplistic controller is a switch. It either allows the lighting unit to have power or not, thus turning it on or off. A controller can control the intensity but it can also give information as to if the light should move, change color, change shape or size. Fundamentally, not all lights have the capability of being so manipulated. This is why you matching your controllers to your lighting units is so beneficial. The more sophisticated the controller the more types of units it can control. It is no surprise that the more flexible the controller the more time it takes to learn how to use, and thus the higher budget you will need to own it. Controllers must get the information of what to do from itself to the unit it is controlling. There are many choices in both language and delivery method. 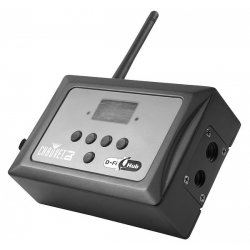 The most common language today is DMX512, a digital protocol that sends continual information at a very fast pace. The device receives these changes and reacts accordingly. Prior to digital languages we had analog controllers which simply sent a low voltage signal to the unit. An example of control would be that if it sent 10 volts DC it would tell the unit that it was to operate at 100% intensity. If it was given 2 volts DC it would tell the unit to operate at 20% intensity. Analog was always sent with control cables between the controller and the device. There would have to be a wire sent to each and every device that was to get information. With the digital signal you only need to send one wire that can then be daisy chained from one unit to the next. Think of all units holding hands making a long chain of information. This control wire, which looks a lot like a microphone cable, makes the wiring so much simpler. There is much debate as to if you can use microphone cable as control cable. In my view, the fundamental difference between the two is that many microphone cables have wires that lay next to each other. Control cable have wires that are twisted together. The reason that this matters is that if there is a fluctuation in the signal on that cable in a twisted scenario all wires will be effected equally. This makes it much more stable. So all in all, while a microphone cable will probably function, it is not as stable as actual control cable. You can also deliver your digital control signal now wirelessly. While a more expensive upfront cost if you are in a situation where you setup your equipment over and over again, the time and labor savings is incredible with this setup. A chase is when you put circuits of light into a repeating cycle. The most common and classic would be “Chaser” lights around a marquee or stage. This is where you have light bulbs in an evenly spaced line and if you follow one light bulb go on and off it looks like it is running around the object that it is “chasing” around. What it really is is a series of three or four circuits lined up next to each other that go on and off at the same rate. A chase controller is what you can use to control that timing. You can get individual controllers to do this but many of the higher end controllers also have a chase function built in. Browse our selection of chase controllers. Manual controllers are controllers that we operate by hand. The operator is the brain that knows what should happen and what should happen next. It is with our fingers that we communicate what goes where and when. Memory controllers are still told by the human what to do, but they remember what we told them. So while we desire for the look onstage to change all the operator has to do is hit the “Go” button and it goes to the next pre-programmed change. Browse our selection of memory controllers. 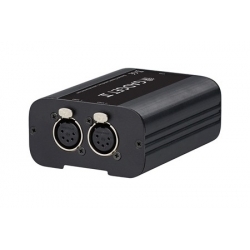 These controllers are specifically designed to make programming moving lights easier. Moving lights have so many control channels that it can get very complicated. Each function of a moving light, be it color, iris, focus, or location takes at least one channel to control. These moving light controllers help in grouping those functions together and making it easier to manipulate. High end memory controllers have many of these functions built in. 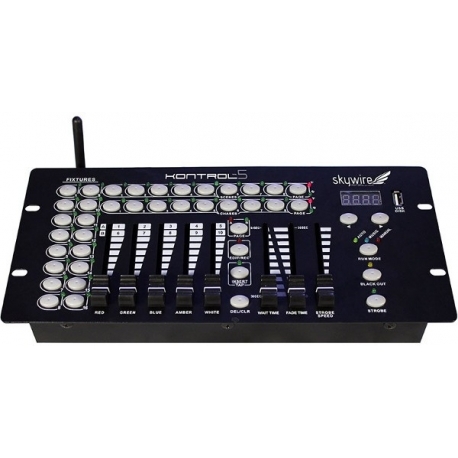 Browse our selection of moving light controllers. These quite simply are units that let you use your desk or laptop to become a theatrical lighting controller. The benefits are that you can get the functionality of a really fancy memory controller for a much lower price point. The down side is that they can take a little longer to learn how to manipulate. Browse our selection of PC controllers. Controllers specifically designed to be mounted on a wall. Most commonly used at an entry way into an audience area in which you want to turn a predetermined set of lights on. Browse our selection of wall controllers. Units that deliver control information without a control wire. Browse our selection of wireless controllers.